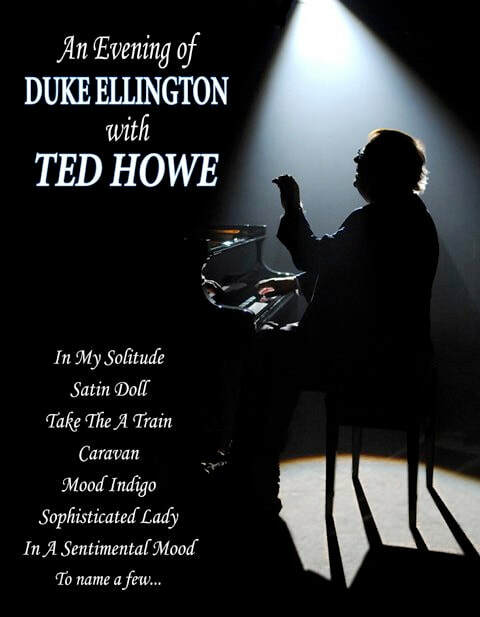 ​Whether it be the the intimacy of solo piano, the energy of a swinging trio, the sizzling sounds of big band or the grandeur of a full symphony orchestra, enjoy the music of ELLINGTON as TED HOWE'S eclectic arrangements capture the essence of THE DUKE. Things Ain 't What They Used To Beis as bluesy as it gets! Sophisticated Ladygoes sensually Latin. In A Sentimental Mood becomes a combination jazz ballad and 18th century chorale. In My Solitude visits Brahms and Brazil.